A month in: What do we think of the Sox? Vazquez's mammoth home run in a sweep against New York. A month and a day are gone already this season. As some predicted and many had hoped, the Boston Red Sox are currently in first place in the AL East by a half-game. 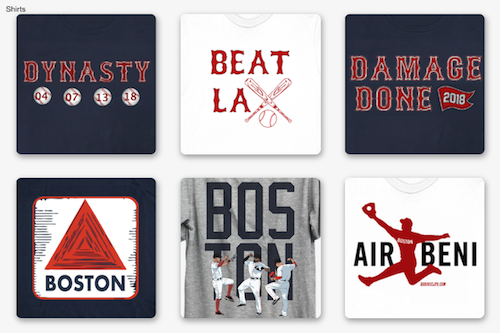 Boston's 15-10 record trails only the white hot White Sox (18-8) in the American League. The two Sox teams tango in Chicago for a three-game series beginning tomorrow. But before they do, we are going to take a brief look back at the good and the bad from the month of April (and May 1), while keeping an eye toward the future. For starters, the fact that the Red Sox are first in the AL East means more good things went right than wrong. After splitting the rain-shortened season-opening series with Cleveland, Boston took two of three at Toronto. The Sox opened a long homestand by losing six of 10 to Baltimore, Toronto and Tampa Bay. However, it was in the middle of that stretch when Christian Vazquez was activated. His impact with the pitching staff was immediate and noticeable. Rick Porcello leads the staff with a 5-0 record and a 2.76 ERA. Knuckleballer Steven Wright is 2-2 despite a 1.37 ERA in four starts. And even though he hasn't quite figured it out in Boston, David Price is 4-0. The backend of the bullpen with Junichi Tazawa, Koji Uehara and Craig Kimbrel has been stuff managers dream about. Things haven't always been smooth, but it's safe to say the bullpen is holding its own. Depth throughout the lineup has given guys like Xander Bogaerts, David Ortiz and Hanley Ramirez a chance to see good pitches and drive in runs. Travis Shaw (.322 AVG) has been a bright spot, along with Brock Holt and the resurgence of Jackie Bradley Jr. The great thing about this team is it seems like its a different player stepping up nightly. That's the sign of a deep lineup and one that has good chemistry. Since the finale with the Rays, Boston has gone 8-2 with series wins against Atlanta (3-1), Houston (2-1) and the Yankees (3-0). The good news is they gained much-needed momentum, albeit against sub-par competition. Clay Buchholz. Need we say more? The Sox No. 2 in the rotation is 0-3 with a 6.51 ERA through five starts. The Red Sox are 0-5 when Buchholz pitches and wasted his one quality start in a 4-3 loss against the Blue Jays. Buchholz has given up five earned runs in four of his five outings. Price might be unbeaten, but he hasn't looked unbeatable. His 6.14 ERA is troubling, but the interesting thing about Price is that he hasn't pitched well at Fenway Park, a place he succeeded greatly as an opposing pitcher. 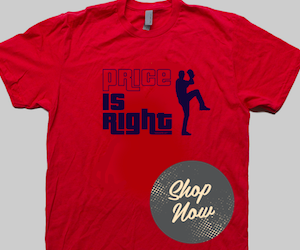 At home, Price is 2-0 with an 8.34 ERA. Price has allowed 21 earned runs, four home runs and 27 hits with 25 strikeouts in 22.2 IP at the Fens. On the road, he's 2-0 with a 2.57 ERA, allowing four earns run, no homers and 11 hits with 24 strikeouts in just 14.0 IP. Not much has gone wrong in the field and at the plate. Mookie Betts got off to a rocky start in the leadoff spot, but credit John Farrell for sticking with Betts and not shaking the youngster's confidence. Ryan Hanigan has had some trouble catching Wright's knucklers, but that isn't anything worth crying over. All things considered, this team is showing signs of coming together and figuring out what works. It helped that when they were 7-8 and many pondered whether this team was going up or down, they ran into three underachieving clubs and took advantage to pick up a lot of wins to close out the month. With Carson Smith expected back this week, the bullpen should get even better. It will be interesting to see what roles Farrell uses Smith. He's mentioned before that he has closer stuff, but Kimbrel has that spot solidified and Uehara has done well in the eighth inning. The guess here is Smith will be used alternately with Uehara to give the 41-year-old some rest. The month of May presents some challenges with series against the White Sox, Royals, Blue Jays and Orioles, all on the road. At the very least, the hope is the Sox can go 14-13 in the 27 remaining games in May. Anything better than that would be proof that this team is championship caliber. Let Ben know your thoughts and keep the conversation going on Twitter @thebenwhitehead.